Why Distinguish between Urgent and Important? Are you like many of us? Do you find that your days constantly get hijacked by urgent tasks, so that you rarely feel in control of your diary – much less the events around you? If you are President of the United States, that must be a big problem. Even when news cycles were longer and the only social media that mattered were the personal columns in the newspapers. The distinction is valuable because it allows us to recognise that our sense of urgency may be the indication we need. Perhaps it’s telling us that, paradoxically, this is something we don’t need to attend to. 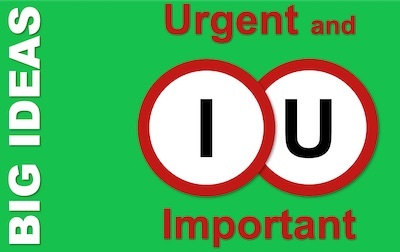 What is Urgent and Important? 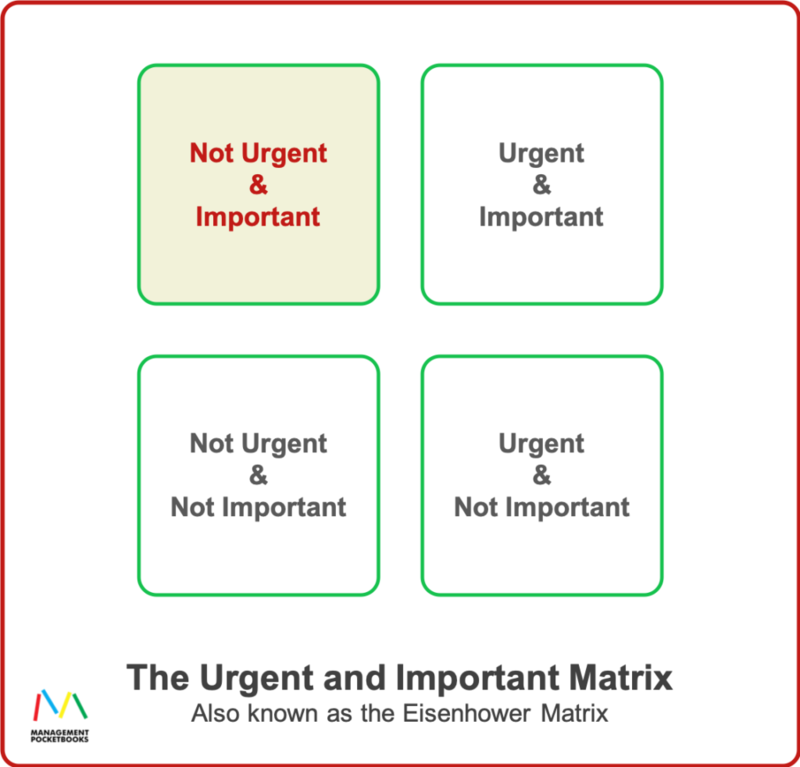 In its best-known form, the distinction between urgent and important has transformed into a matrix; often known as the Eisenhower Matrix. Stephen Covey picked up on this idea and put it at the core of one of his Seven Habits of Highly Effective People, in his best-selling book of the same name (US|UK). Covey concludes that a focus on the Important but Not Urgent activities in his Quadrant II leads to balance, control and vision. Finding what is important and putting that first is part of Covey’s formula for success. For me, this remains one of the most powerful practical time and productivity management tools. Here’s one way I advocate using it. Make yourself a list of everything on your agenda. You may already have an unruly To Do list, so this is a great way to tame it. Set yourself a definition for Urgent. It may be that you are under pressure to do this by the end of the week, or that you feel compelled to do it, despite another feeling that you don’t need to. Set yourself a definition of Important. This will likely link to your goals or what matters most to you, in your work, your family, your life, etc. Now allocate each thing in your list to one of your four boxes. Be ruthless. Make sure it really does meet the definitions you set yourself. Urgent and Important activities need your attention quickly. But they also need high-quality attention. Schedule the first opportunity to attend to them properly. Urgent and Not Important activities may not be important enough to worry about. So, ask yourself if delaying them until they are time-expired will have any genuinely adverse consequences. But, if you do need to do them, give them the least attention that you can, consistent with what little importance they do have. This may mean outsourcing them to an assistant or junior colleague, or batching them up and doing them as quickly as you can. Not Urgent but Important activities are where the gold is. Here’s where you invest your effort for big future returns. So schedule big chunks of your most productive time to give these tasks the attention they deserve. This will help you get ahead of crises and feel in control of your life. Better yet, doing the important but not urgent tasks well will create the improvements in our work and your life that you want. What is Your experience of the Urgent and Important Matrix? The Time Management Pocketbook is full of tips, techniques, and tools for those who want to make effective use of their business time. It includes a short summary of Urgent and Important. The Management Models Pocketbook is a great resource for trainers and a ready-reference for managers. It contains a detailed analysis of the Urgent and Important idea.